Andersen Beauty. Certified Installation. Energy Efficiency. People trust and recommend windows and patio doors from the Andersen family of brands more than any other brand in the industry. We have access to the whole line of Andersen replacement windows, as well as other manufacturers. We have access to the whole line of Andersen Patio Doors, as well as other manufacturers. 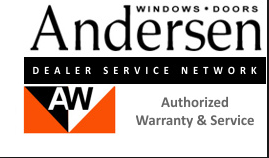 All Andersen parts replaced are covered under warranty by Andersen Windows. Repair or replace broken Andersen window sashes, weather stripping, balance boxes, locks, and other window components. Install new screens and hardware. Fix windows and doors that do not operate properly. Replace window and door locks or hardware. The quickest turnaround in the industry - Denver is a busy market. *Andersen received the second highest numerical score among 16 companies in the J.D. 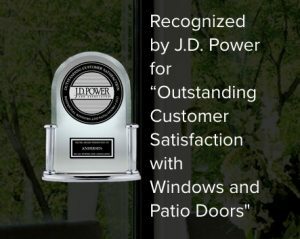 Power 2017 Windows & Patio Doors Satisfaction Study, based on 1,904 total responses, measuring the experiences and perceptions of customers who purchased windows and/or patio doors in the previous 12 months, surveyed February- March 2017. Your experiences may vary.